Two-channel, analogue and digital outputs. Each path can be separately synchronized. Path sampling rate can be frequency-locked to a different reference frequency, for example: 96kHz path locked to 48kHz Worldclock. Unless otherwise stated, all performance specifications are quoted RMS, A-weighted, bandlimited 20Hz-20kHz, with PCM sampling at 96kHz and wordlength 24 bits, and with DSD lineup normal. Note that quotation of performance using A-weighting filters is not generally the policy of Prism Sound; however, the noise-shaped nature of DSD signals means that A-weighted measurements are more representative of subjective performance than are unweighted measurements. 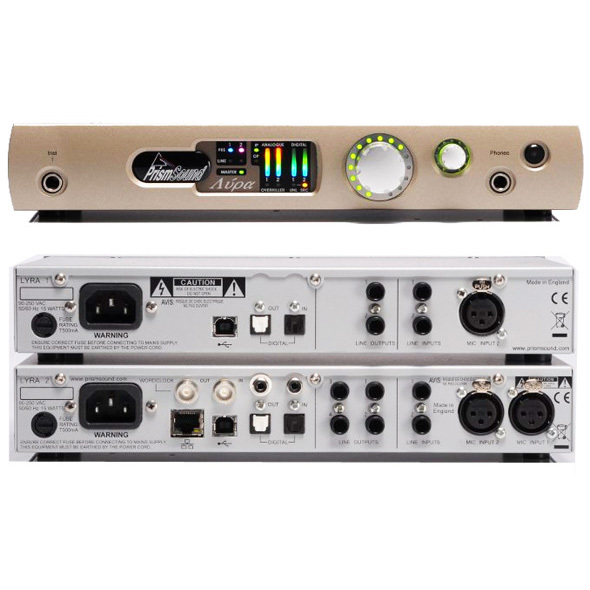 Up to four ADA-8s may be connected on the same FireWire bus allowing up to 32 channels of simultaneous recording and playback. 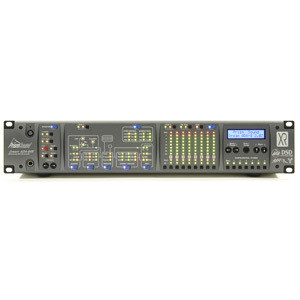 Each FireWire card caters for 8 simultaneous input and output channels at up to 96kHz sampling rate, or for 4 simultaneous input and outputs channels at 176.4 and 192kHz sampling rates. 8 channel simultaneous input and output applications at sampling rates over 96kHz require two FireWire cards. 16 channel input or 16 channel output applications are also supported at up to 96kHz with two FireWire cards.